Come play with us this week, as we have a very busy one out and about! Music classes continue Tuesday at Oakhurst Baptist Church – if you’re curious about how they run, come on out and see for yourself. Courses for this term include guitar levels 1-3, mandolin, fiddle, vocals, and banjo. We will pick back up with ukulele next term beginning June 7! Our calendar filled up this week quite nicely – keep reading to get the scoop! Hope to see you out at one of our events! 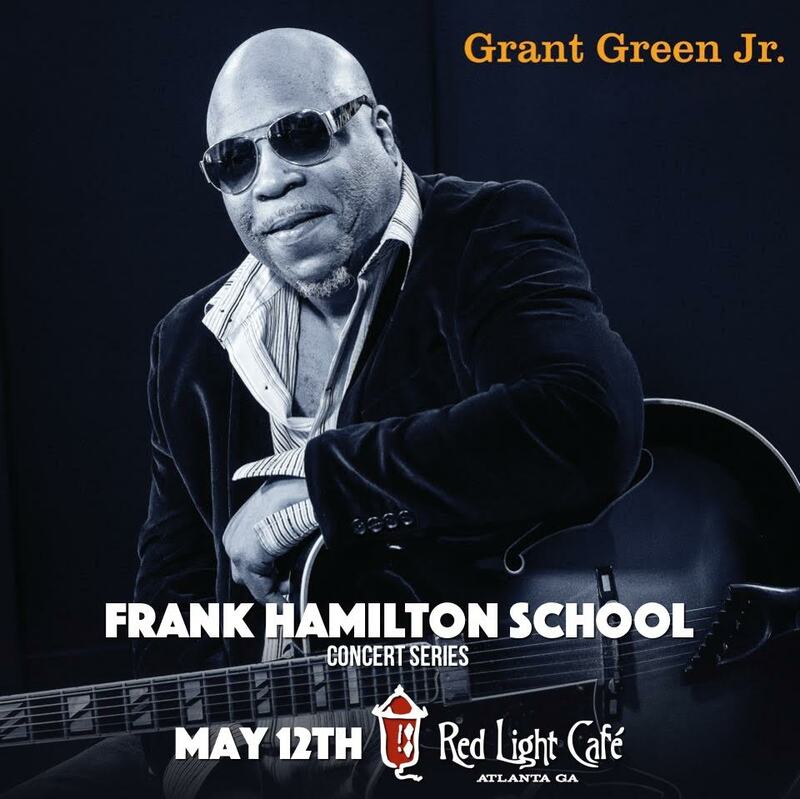 As part of the Frank Hamilton School Concert Series, we are excited to present Grant Green Jr., Thursday, May 12 at the Red Light Cafe! Grant is a member of the legendary group Masters of Groove, along with drummer Bernard Purdie and B3 Organ player Reuben Wilson, and his live shows are extremely soulful and uplifting, his skills on the guitar are second to none. Expect an incredible evening of music by a music gem we are fortunate chose to make Atlanta his home (by way of New York). TDawg Presents Martha Scanlan in a relaxed backyard setting, 466 Ridgecrest Rd., Atlanta, GA 30307. BYOB, bring a chair, bring a grillable if you like, some apps will be available but feel free to contribute! Bring your instrument for some pre/post show jamming! A PORTION OF PROCEEDS TO BENEFIT Frank Hamilton School. On behalf of The Frank Hamilton School, TDawg Presents is excited to bring you the acclaimed and gifted songwriter Martha Scanlan, formerly from the Reeltime Travelers, for a Sunday backyard gathering. This concert is a benefit for the Frank Hamilton School, so come on out and support a wonderful cause while witnessing magic on the stage with Martha’s presence. Martha hasn’t been around these parts very much in recent years so this will be a special performance! On a personal level, I worked with the Reeltime Travelers several times throughout their too brief of a career as a band, and I can’t express to you how excited I am to be presenting this show. On Saturday May 14, The Frank Hamilton School will be present at two wonderful community events! We will be located in the artist market performing acoustically with sets at Noon, 1 PM, 2 PM featuring Frank Hamilton. Two more sets from 3 PM – 5 PM! Come visit us! ~ Tucker Day, Main St., Tucker, GA. Performance at 3:30 PM on the First Avenue Stage featuring Frank Hamilton. If you would like to get involved as a volunteer with The Frank Hamilton School, please contact us through the website and we will get back to you quickly! Plenty of opportunities available that can utilize particular skill sets, from accounting and bookkeeping to membership development! Become a part of the New Folk Movement! Frank Hamilton School/TDawg Presents News! Grant Green Jr at Red Light Cafe May 12, 8 PM! read on to see all the exciting events we are part of, as well as some mighty fine concerts as part of the Frank Hamilton School Concert Series. Frank will be interviewed this evening before classes begin by the Georgia News Network, which is working on the Year In Georgia Music project in conjunction with the Georgia Economic Development. The interview will be heard soon over the airwaves on stations around the state. Stay tuned for more details! Below is a complete list of FHS band appearances and FHS Concert Series dates through mid-June! TDawg Presents Martha Scanlan May 15! May 15 ~ TDawg Presents Martha Scanlan (Reeltime Travelers), Backyard Concert at 466 Ridgecrest Rd., Atlanta, 5PM, $15 ADV/$20 DOOR. Below is a very cool video of Grant Green Jr. doing what he does best, at the Inman Park Festival in 2012. Ike Stubblefield on the keys. Enjoy! Finally, it’s not too early to mark your calendars, especially as fast as this year has flown by! Sunday, December 18 at Terminal West is the date and location for the 6th Annual Atlanta’s Holiday Hootenanny & Silent Auction! TDawg Presents is thrilled to have Atlanta Habitat for Humanity involved once again. Y’all, this show keeps getting better and better as we go along! Here is a clip from last year’s monumental show that closed out with one of the greatest sets by Col. Bruce Hampton that I have ever witnessed, and I’ve seen many! Also, HAPPY BIRTHDAY to the Colonel!